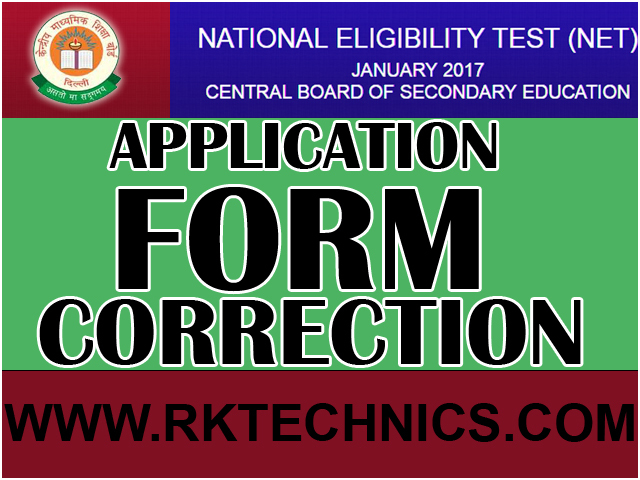 The Central Board of Secondary Education (CBSE) conducts NET 2017 Test on behalf of UGC (University Grant Commission) on 22 January 2017. CBSE UGC NET 2017 Test is conducted for the posts of Junior Research Fellowship or eligibility for Assistant Professor or both in Indian University. This opportunity providing for those people there are graduated with their recent post-graduation results details.Please do the corrections very carefully because there will not be any further chance for correction of your NET Application form. 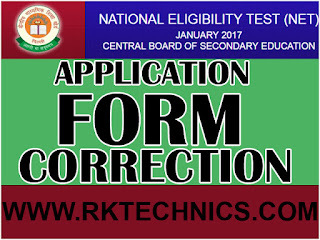 The CBSE (central broad of secondary education) will not be responsible for any wrong correction done by the candidate during this process. Please do your correctional personal do not give the information to another personal. Your form will be open now choose the editing of the form. Simple opened your application form as editable make sure to fill the application. Finally enter captcha and Final submit. That's it .